News and Events from the UVM Department of Theatre. Stay informed about happenings and events in the UVM Department of Theatre. For the past 23 years, Jeff Modereger has told first-year students a poignant story about one of his first plays at UVM as a new theater professor. Illustrative of the healing power of good theater, the story has stayed with many students long after graduation. One of those students, Randa Karambelas ’01, was so moved by Modereger’s description of the audience reaction to “A Piece of My Heart”— a play based on true stories told by women who served in Vietnam — that she vowed to produce it one day in New York. Now an accomplished actor, producer and writer, Karambelas made good on her promise by bringing the play to the off-Broadway IATF theater this month via her own production company, Little Spoon, Big Spoon, Productions, LLC. What’s more, she vowed that only Modereger could be the set designer—another promise kept. What the audience doesn’t know is that Modereger’s design pays tribute to his cousin, David E. Hevle – a Marine Corps Corporal who died in 1967 while on duty in Quang Tin. For Modereger, Karambelas and the production team, the play is a tribute to his cousin. “The storytelling, the direction, the acting and each of our design elements echo the only line that is repeated throughout the play – ‘to honor the brave men and women who served so well and gave so much,’” says Karambelas. For Karambelas, bringing the play to New York marks a milestone in a career that began in theater, took a turn into the corporate world, and has returned to her love of the stage. Building from experience gained in the business world, she launched Little Spoon, Big Spoon Productions, along with business partner Chelsea J. Smith, with a focus on socially conscious artistic ventures that support related non-profits. For “A Piece of My Heart,” 20 percent of all proceeds and 100 percent of all donations will benefit Hope for the Warriors, a veterans organization supporting post 9/11 service members and their families. One of her proudest accomplishment with this production: keeping it in the UVM family, by hiring alums including Timothy Parrish ’07 as a lighting designer, Danielle Varcasia ’10 as an electrician and Jamien Lundy Forrest ‘01 as part of the technical crew. Associate Professor of Theatre Katie Gough presents "Coracles, Castanets, Cadaqués"
Associate Professor of Theatre and Resident Dramaturge Katie Gough will present a work in progress performance of her first play, Coracles, Castanets, Cadaqués on August 17, 2017 at 7:30PM at FlynnSpace in Burlington, Vermont. Coracles, Castanets, Cadaqués is part monologue, part comedy, part puppet show, part detective story, and part history lesson and follows the story of theatre professor who makes an appointment with a therapist. What ensues is a surrealistic autobiographical tale of lost orientation, and of learning to turn an eye into an ear in order to hear the ways that our own darkness is looped with our grandest understanding of love. Oh, and there’s a tiger. Cast: Marianne DiMascio, John Jensen, Lawrence Connolly, Emer Pond Feeney, & Mary Krantz. *This performance was made possible by a UVM Humanities Center and OVPR Summer Research Award, UVM Department of Theatre & Flynn Center for the Performing Arts' Vermont Artist Space Grant. UVM Alum returns to direct fall production of "Sense and Sensibility". The department is thrilled to welcome back UVM Alumni Natalie Battistone to direct the fall production of Sense and Sensibility. Natalie graduated from UVM as a member of the class of 2013 and since that time has received a graduate degree from Harvard's MFA Acting program, the American Repertory Theatre (read more about Natalie below). "I am deeply honored that the Royall Tyler Theatre has offered me the opportunity to come direct Sense and Sensibility as part of the 2017/2018 season. My primary goal is to provide the artists I work with the most professional, engaging and exciting learning experience possible. The show was adapted by Kate Hamill, an actor who was tired of male-adapted Jane Austen productions. Her focus was on capturing Austen's amazing sense of humor, lifting out the beautiful relationship and turmoil between sisters Elinor and Marianne Dashwood, and evolving the "gossip" from a mere theme in the novel to a flesh and blood chorus that never stops eavesdropping, whispering and is effectively responsible for progressing the plot". 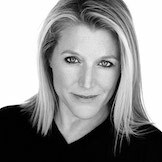 Natalie is a freelance AEA actor/director and founding member of The Spot, a non-profit theater company in Sun Valley, Idaho. Born and raised in CT, Natalie began acting with the Newington Children's Theatre Co. (where she later returned to teach), Hartford Stage Co., and Capital Classics Shakespeare Co. In 2009 she was accepted in the Honors College at the University of Vermont and moved to Burlington to study Classics and Theater (Acting and Scenic Design) and served as a student representative in the Dept. of Theatre. In her junior year she studied abroad at the Moscow Art Theatre School (birthplace of the Stanislavski "method") through the Eugene O'Neil Theater Center/National Theater Institute. While at UVM Natalie was very involved in issues of equality, women's rights, feminism, and femininity in theatre (focus of her thesis), which made the symposium held by Royall Tyler Theatre in her senior year - and the opportunity to play "Lil Bit" in How I Learned to Drive (directed by Gregory Ramos), one of the most formative experiences in her life. Directly following graduation from UVM Natalie was accepted into the American Repertory Theatre/Harvard's MFA Acting Program. Sunday, May 21, 2017 saw the graduating seniors in the Department of Theatre complete their journey here in the Royall Tyler Theatre and move forward on their paths toward challenging and satisfying careers. The faculty and staff of the department of theatre wish this talented group of theatre artists much success! UVM Theatre hosts The Atlantic Theatre Company for workshops in the Royall Tyler Theatre! The Atlantic Theatre Company will bring its unique perspective to the art of creating theatre on Saturday, April 29, 2017 as the UVM Department of Theatre hosts Neil Pepe (Atlantic Theatre artistic director), Mary McCann (founding member and Executive Director of the Atlantic Theatre School) and Scott Zigler (founding member and past artistic director) who will conduct workshops about the creation and history of the Atlantic Theatre company as well as the distinct acting technique developed at the Atlantic school called Practical Aesthetics. 11AM to 1PM - Practical Aesthetics - Atlantic Theatre approach to acting. Scott Zigler is a founding member and past Artistic Director of Atlantic. Directorial credits at Atlantic include Moira Buffini’s Sold in 10 X 25, Tom Donaghy’s adaptation of The Cherry Orchard, Shakespeare’s As You Like It, The Woods by David Mamet, Suburban News by company member Bill Wrubel (World Premiere), and David Ives’ Sure Thing. Atlantic acting credits include Something About Baseball by Quincy Long, Warren Leight’s Name Those Names, and The Three Sisters adapted by David Mamet and directed by William H. Macy. At ART, Scott is Director of the Institute for Advanced Theatre Training at Harvard University, a graduate training program run in collaboration with the Moscow Art Theatre School. At the Institute Scott directed the world premiere of Ellen McLaughlin’s Ajax in Iraq, among many others. Scott has taught at numerous institutions nationally and internationally and is a co-author of the widely used acting text A Practical Handbook for the Actor. Mary McCann is a founding member of the Atlantic Theater Company. She can currently be seen in Atlantic’s production of Almost an Evening by Ethan Coen. Mary has appeared in many Atlantic Theater Company productions, including the hit musical Spring Awakening, The Cherry Orchard, The Night Heron, The Hiding Place, This Thing of Darkness, The Beginning of August, Wolf Lullaby, The Water Engine, Edmond, Dangerous Corner and Shaker Heights. Broadway Credits: The Old Neighborhood, Our Town with Spaulding Grey and Search and Destroy. Other Off-Broadway credits include: Oleanna (Orpheum Theater); Uncommon Women and Others (Second Stage); Boys’ Life (Lincoln Center); and Hot Keys (Naked Angels). American Repertory Theater: Oleanna and Boston Marriage. Neil Pepe is an acclaimed director and has been the Artistic Director of the Atlantic Theater Company since 1992. Neil has been a master teacher at the Atlantic Acting School at New York University Tisch School of the Arts and an associate adjunct professor of directing at Columbia University Graduate Film Division. As a director, Neil’s Broadway credits include Doug Wright, Trey Anastasio and Amanda Green’s musical Hands on a Hardbody, the acclaimed revival of David Mamet’s Speed-the-Plow, as well as Mamet’s A Life in the Theatre. At the Atlantic, Neil has most recently directed John Guare’s 3 Kinds of Exile, Moira Buffini’s Dying For It, Jez Butterworth’s Parlour Song, Mojo and The Night Heron. Department of Theatre named a Top-10 program! Popular theater blog OnStage has named the University of Vermont’s Department of Theatre a top 10 B.A. program in the country. The ranking touts the strength of the program in teaching both theory and practice; its facilities, which include a 300-seat thrust-stage theater, costume shop, lighting lab and more; its dedication to bringing in outstanding guest artists, including Tony Kushner, Charles Busch and Paula Vogel; and its partnership with the Vermont Shakespeare Company, which affords students the opportunity to work with a professional company.